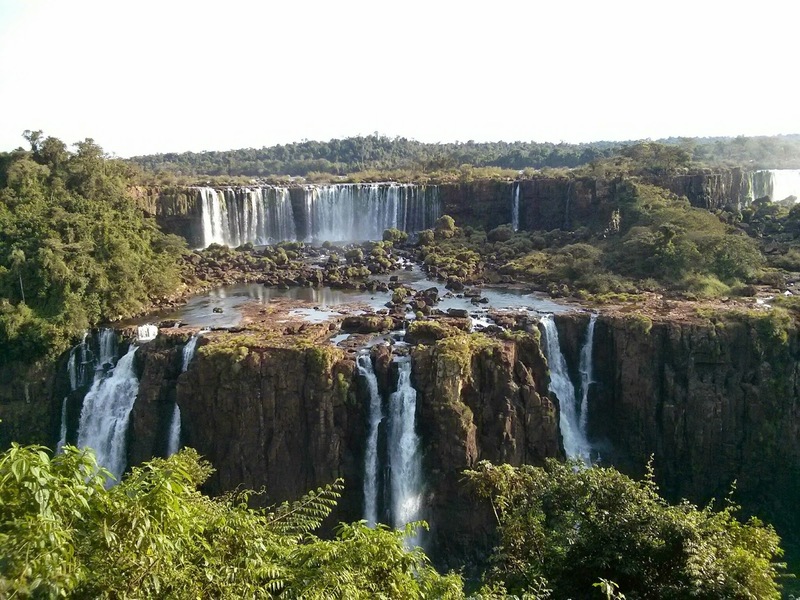 In the remote state of Paraná, Foz do Iguaçu is the city right next to Iguazu National Park in Brazil. 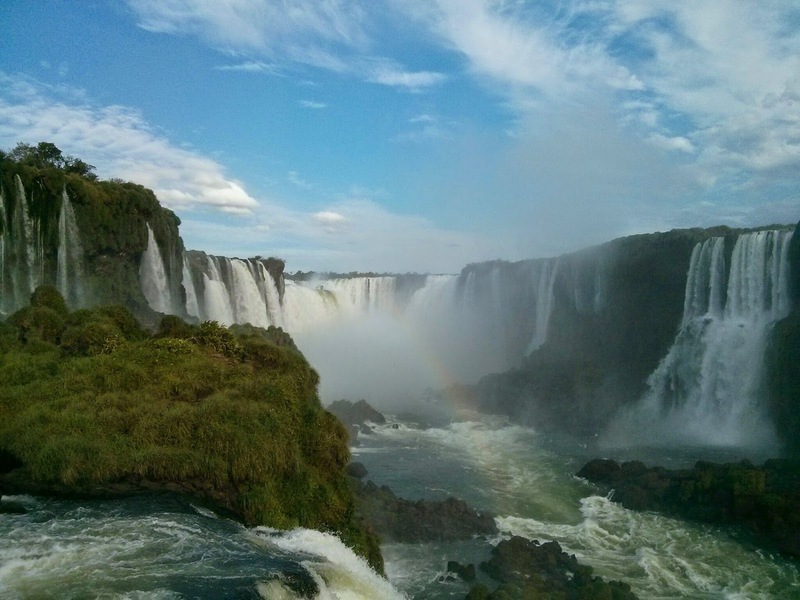 Iguazu Falls is not necessarily on the beaten path but it is certainly a destination on its own. The falls divide Brazil and Argentina along the Iguazu river. It is an impressive site. 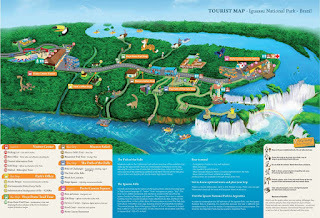 The Foz do Iguaçu airport was easy to navigate and the starting place for most journeys. 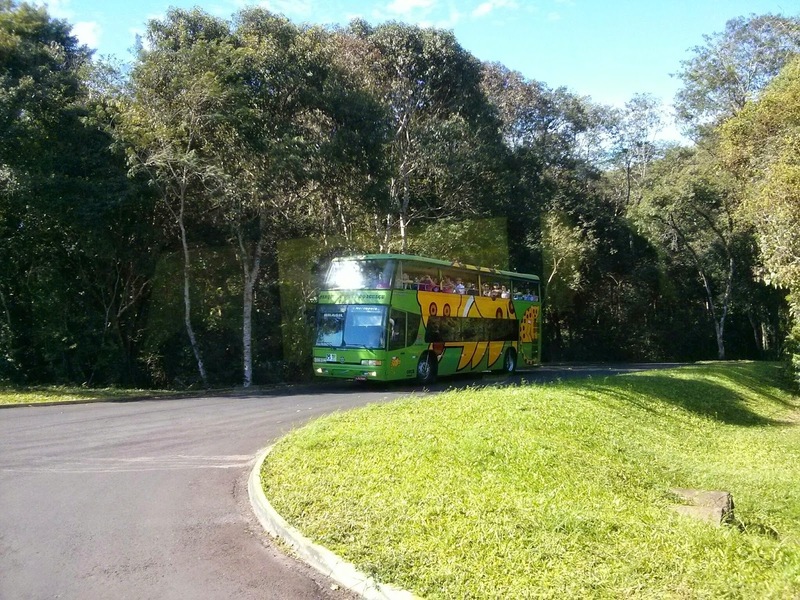 You can take the city bus from the airport to the visitor center for R$3. Route 120 departs about every 20 minutes, depending on the time of the day and you can take it towards the "Parque Nacional" or towards the hotels "Downtown". When you get on the bus pay the person called the cobrador, who will be sitting at table and then pass through the turnstile. The visitor center is only 2 miles from the airport. It is walkable but uphill and no sidewalks. 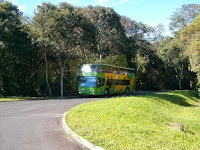 When you arrive at the visitor's center you purchase an entrance ticket and work your way to a double decker bus that will bring you into the park. The bus has recordings in Portuguese and English telling you about each stop. 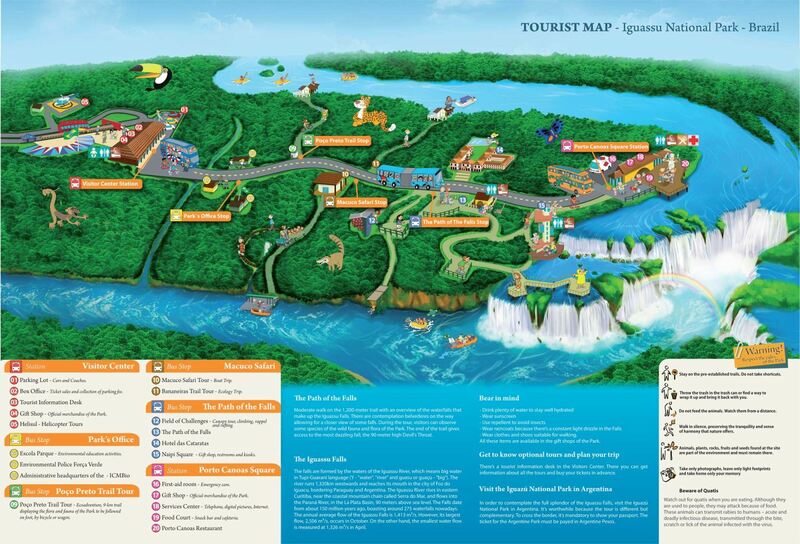 The first two stops are for kayak, rafting and motor boats that will bring you up-close to the falls and through the jungle. These adventures cost extra beyond the park entrance fees. Get off the bus at the "Path to the Falls". This is the start of a 1.5 kilometer hike that goes up and down giving dramatic views of all of the falls. You see the Argentine falls as a distance and then end up on a path that brings you over the river into the "Devil's Throat" falls in Brazil. The path isn't steep and your kids should be able to navigate it just fine. There are stairs, which would make a stroller very challenging. About half way there is a concession shop that has bathrooms and then again when you get towards the end. When you are done watching the falls from the walkway you can enter the observation tower. It has 3 decks with concessions, gift shops and wonderful views. From there you take a glass elevator to the top of the precipice and you are in the area known as Porto Canoas. In Porto Canoas you can enjoy a traditional Brazilian buffet, costing R$45 while continuing to watch the river above the falls. Rather than hit the bus immediately, consider walking the path of the falls again the opposite direction. It may give you a different feel and time to contemplate. You can pick the bus up at either stop.